Whether you’re planning to spend your summer here in London or jet-setting overseas don’t go making a splash without prepping your skin with the help of skin care professionals Epionce. 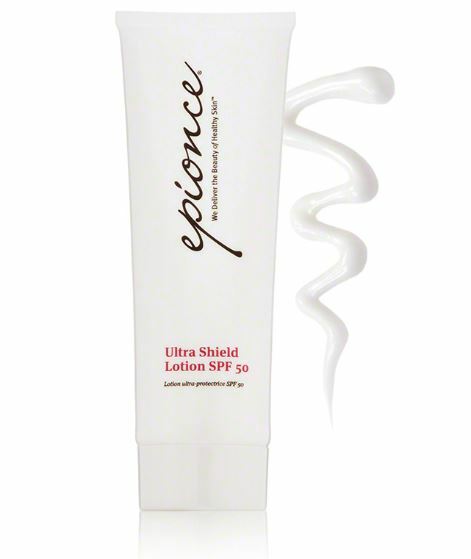 The Sun is out in the city and I won’t be hitting the sun lounger without using the Epionce Ultra Shield Lotion SPF 50 on my face and body first. The light, quick-absorbing anti-oxidant rich sheer formula *broad-spectrum* (words you should always look for on the label) which offers daily protection against damaging UVA/UVB rays from the sun and is Water Resistant (80 minutes). In the past I have made many SPF mistakes which now show up on my face. My uneven skin tone has been triggered by sun exposure which is the reason to why I now make sunscreen application a year-round commitment.